I received a gift this week that moved me to tears. Granted I cry a lot. This week I teared up because I'm worried about Scott Disick having to go to rehab on the Kardashians Take Hamptons; I cried a little when I watched President George W. Bush be interviewed by Jenna Bush on the TODAY Show and talk about his father and his father's good relationship with President Clinton; my eyes got a little misty when I watched Wade hopscotch his way into preschool. I've identified myself as a highly sensitive individual and the Internet confirmed it (read here). I do cry easily. BUT the tears when I received the gift were so good. They were tears of gratitude and relief. The gift was a bracelet from a friend I met online and she totally gets me. The gift came at a point in the week when I was feeling particularly unlucky and unworthy. When I saw the gift, I cried because I am grateful to feel loved, understood, accepted and encouraged. 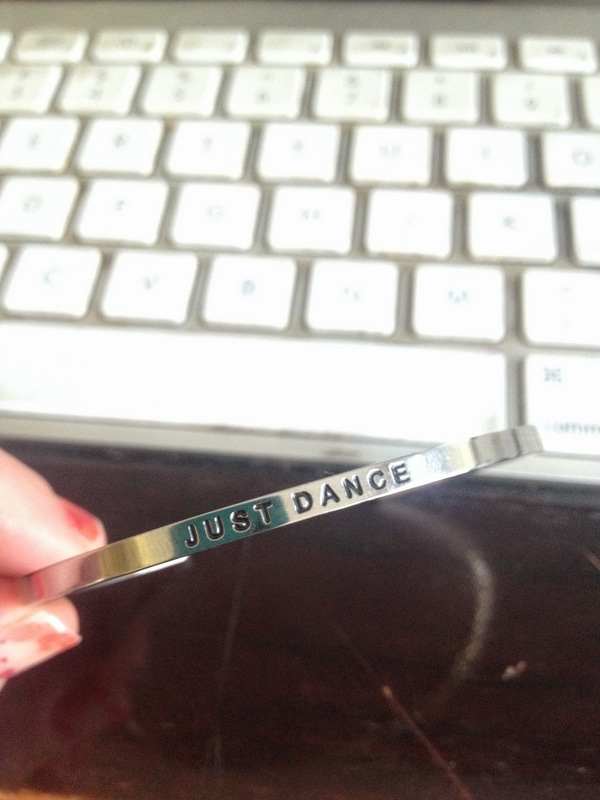 The gift was a bracelet with the most perfect inscription that made me smile (through my tears). The note with the gift spoke my love language of words of affirmation, it was beautiful. It was simple but huge. I may be highly sensitive and all the feelings can be overwhelming but sometimes, it is wonderful to feel all the feelings and soak up the love, I know that for sure. And I know for sure that there are good, wonderful people in the world that can make an oversensitive girl's week by knowing just the right thing to say. If former Presidents and rivals can like each other and act like family...the rest of us can surely get along. Right? Click here to read what Clinton is saying on Twitter about Bush's new book and how Bush responded on Instagram. It's awesome. Then watch the video below. It got coooooooold here. I miss summer terribly, but at least Wade gets to wear his most favorite hat ever in the whole world again. I'm going through a jazz phase. Even though I definitely like to rock out in my kitchen, I am also obsessed with jazz and it is quickly becoming my go-to Pandora channel. We've got the arts covered at our house. Music? Check. Art? Check. Dancing? But of course. I am F-word. I made a video about being a feminist and it has one positive comment and one really long negative comment. If you feel like it, even if you don't consider yourself a feminist and you don't agree with me but you know how sensitive I am and how nice words feed my soul and you want to go leave a positive comment...that would be ahhhhhmazing. What do YOU know for sure this week? What are you reading, feeling, listening to? Tell me here in the comments or over on my Facebook page. 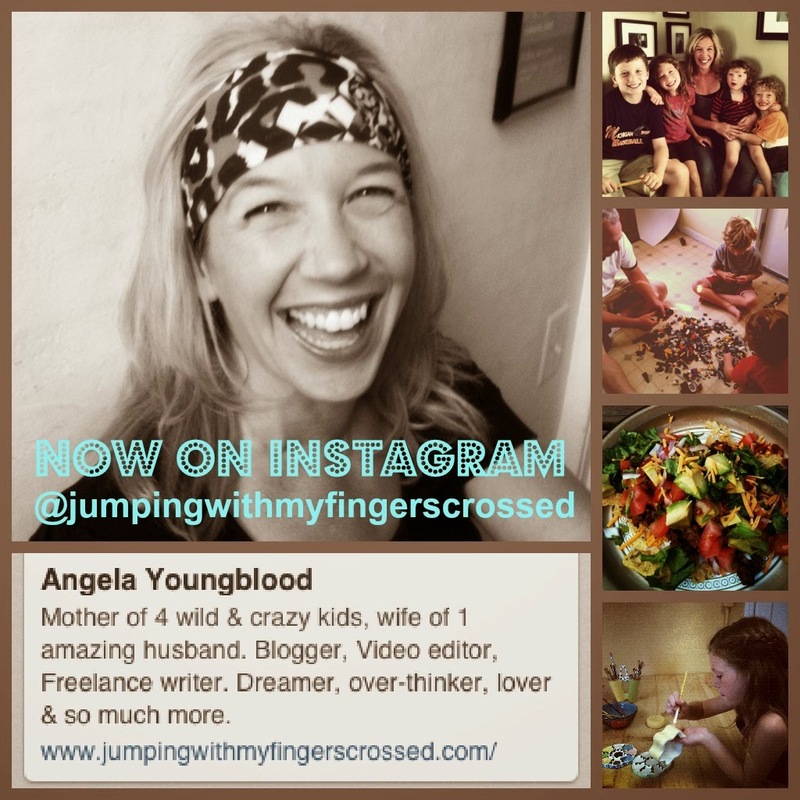 And come play with me on Instagram, click here . So you checked all of those books out from the library? I can only do one at a time because it takes me that long to read one! Loved your video. You are awesome. I love your sensitive self. And that bracelet. And Wade's hat. I know for sure that I love this whole post, and that bracelet is perfect. Your video is awesome and I could hear you talk all day long. And I'm very impressed with your book stack. I gave up library books, because I am a very slow reader.